This is hockey, not soccer. 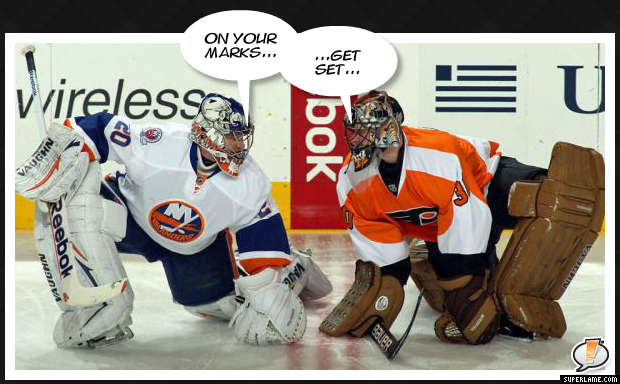 Don’t pass the puck back to your goalie…especially if your goalie is Bryzgalov. Is Bryz worth the pickup now Philly? BTW – Carter and Richards are in the Western Finals. 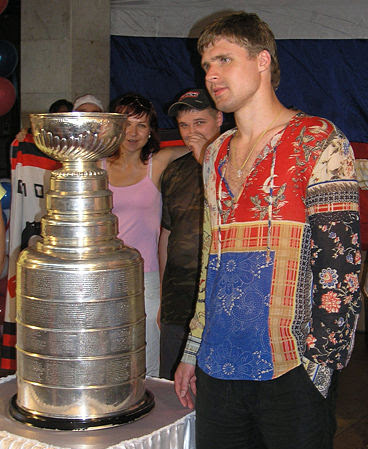 Ilya Bryzgalov, The Stanley Cup, and one Fantastic Shirt. That piece of clothing is Humangous Awesome. Coyotes’ players sure do love a guy who can stretch! Picture him saying this in a Jon Lovitz voice.